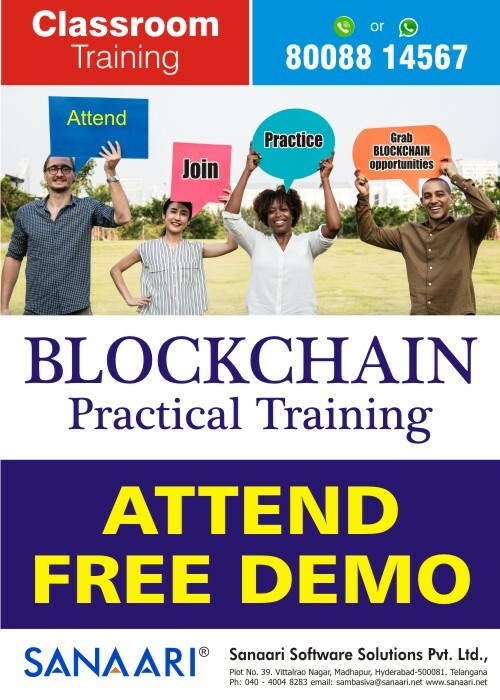 Sanaari Inviting for BlockChain Technology Classroom & Online Training. Loading... Let us take you into the world of Blockchain with this extensive course designed specifically for people who want to become functional or technical Blockchain Consultants. 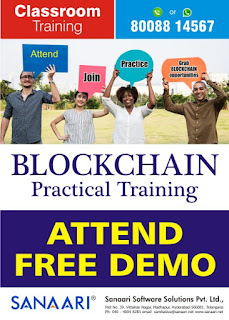 This Blockchain certification course helps learn technical skills to manage overall blockchain program and explore its options in new and innovative applications. This course helps you explore each topic through the lens of a real-world example application. With plenty of examples, tips and clear explanations , you’ll master many advanced concepts of the Blockchain. Our course does not set any prerequisites for joining. So if you are an Programmers & Developers, Architects, Consultant, Advisor, University Professors, Engineering Management Student, Engineers or a Cryptocurrency Enthusiasts, this course is perfect fit for you.